As Mark Cavendish prepares for a shot at a gold medal on the track at the Rio Olympics this year, getting as much race training in as possible is a pretty essential part of the build-up. 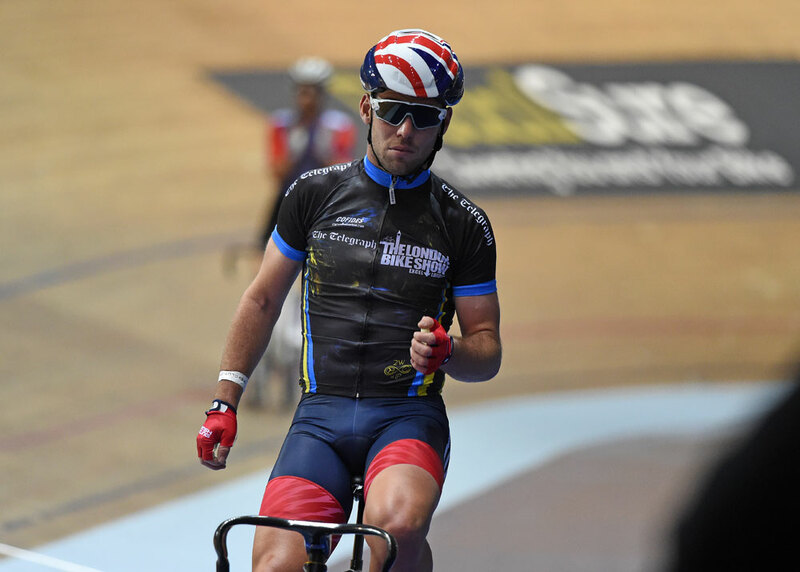 But things didn’t go quite as smoothly for Cav as he may have hoped in the fifth round of the Revolution Series on Saturday in Manchester, where he took part in a special team pursuit event for GB against Team Wiggins. Lining up at the start of the event, against an elite Wiggins selection of Steven Burke, Owain Doull, Jon Dibben and Andy Tennant, things didn’t get off to the best start as Cav took a tumble. With his old friend Rob Hayles holding him up, Cavendish’s bike slipped from underneath him as he tried to adjust his helmet. The Team Dimension Data man seemed to be fine though, but there wasn’t much he could do with his teammates Chris Latham, Ollie Wood and Kian Emadi as they finished as second behind Team Wiggins. There was some success for the 30-year-old in the round though, as he took victory in the Team Elimination race alongside Marc Hester. Cavendish’s next appearance on the track will be at the UCI World Cup in Hong Kong on January 16-17, his first appearance for Great Britain since 2009.